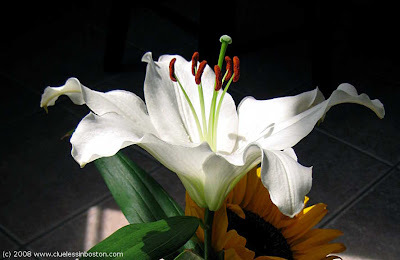 white lily, one of my favorite flower. i love the way you take the photo with black background. Charming. Wonderful colors: white, black, a luscious green, a maroon-like red. This is one of my all time favorite photos! Just a lovely, lovely view!